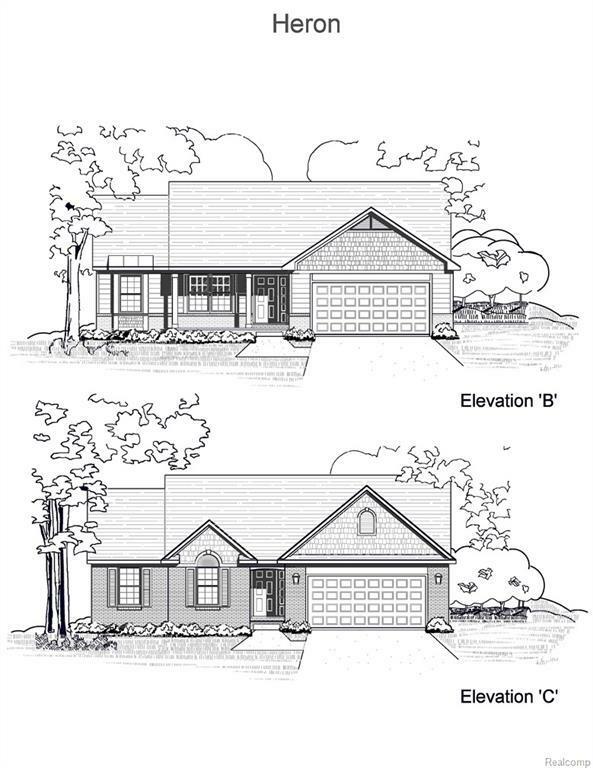 ****TO BE BUILT HOME**** YOUR SEARCH STOPS HERE FOR THIS ALL BRICK 3 BEDROOM, 2 BATH NEW CONSTRUCTION HOME IN MILAN, MINUTES AWAY FROM ANN ARBOR, GIVES YOU THE FEEL OF BIG CITY LIFE WITH SMALL TOWN LIVING. CUSTOM KITCHEN AND BATHROOMS BOTH WITH GRANITE AND SOFT CLOSE RAISED OAK CABINETS. 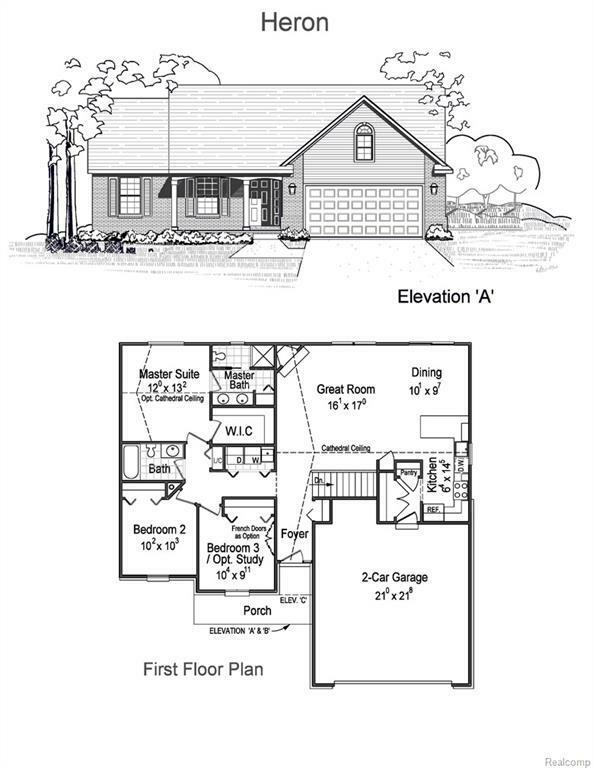 HERON FLOOR PLAN FROM ALL POINTS DEVELOPMENT. GREAT ROOM WITH CATHEDRAL CEILINGS AND GAS FIREPLACE WITH CUSTOM TILE SURROUND. THE POSSIBILITIES ARE ENDLESS IN THE UNFINISHED BASEMENT WITH 9FT CEILINGS AND EGRESS WINDOW. MASTER SUITE WITH CATHEDRAL CEILINGS, WALK IN CLOSET, AND FULL BATH WITH CUSTOM TILE SHOWER. HOMES ARE FULLY CUSTOMIZABLE AND BUYER HAS THE ABILITY TO CHOOSE THE COLORS OF THE BRICK, SIDING, GRANITE, FLOORS, ROOFING, CABINETS, AND TILE. YOU HAVE TO SEE IT TO BELIEVE IT! SCHEDULE YOUR PRIVATE SHOWING TODAY!